through charitable donations and volunteer service with special emphasis on supporting efforts to prevent and find a cure for diabetes. 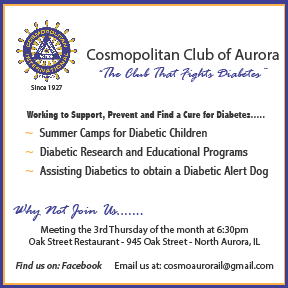 The Aurora Cosmopolitan Club meets on the third Thursday of each month at Oak Street Restaurant. The annual dues are $150. 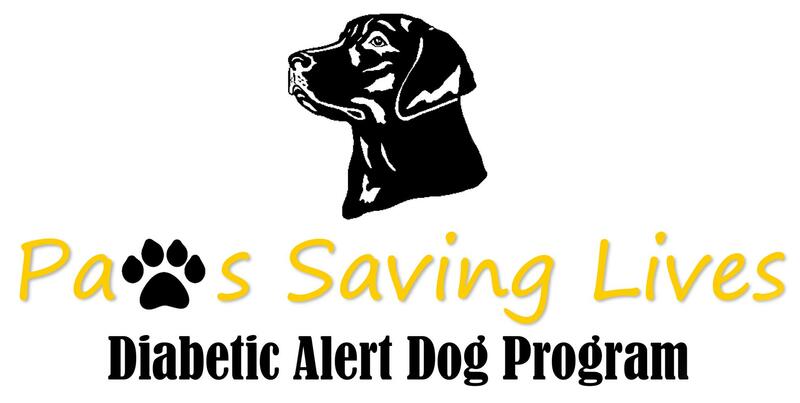 You can pay monthly, quarterly, or annually. We support many different causes like, University of Chicago Kolver Research Center, student scholarships at Waubonsee Community College, and summer camp scholarships. Our fundraisers are selling Carson booklets, a Wine Tasting Event, and a garage sale. We partner with community agencies like Communities In Schools and Salvation Army. The Cosmopolitan Club of Aurora supports the University of Chicago Kovler Research Center. We give scholarships to students attending Waubonsee Community College and give scholarships to kids attending a diabetic summer camp. The University of Chicago Medicine Kovler Diabetes Center is a comprehensive center for innovative diabetes research and unparalleled patient care. Their mission at the Kovler Diabetes Center is to provide holistic treatment, care and education that empowers our patients to effectively manage their diabetes for a lifetime. 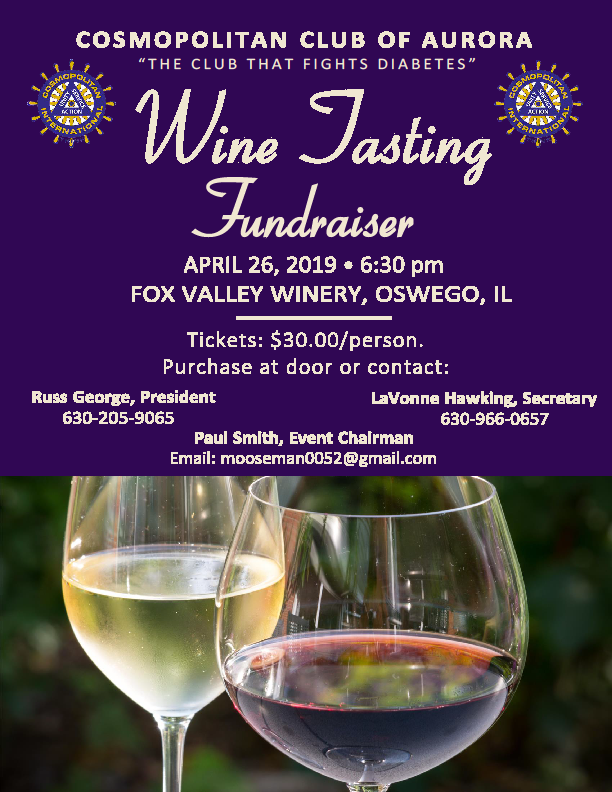 The club raises money through fundraisers like the Wine Tasting Event, selling Carson's Community Day's Booklets, and a rummage sale. The Cosmopolitan International Club of Aurora, Illinois was chartered in April of 1927 and upon completion of the membership drive, the Inaugural Banquet was held on Monday, June 6, 1927 at the Masonic Temple, with 65 members. Frank Weisgerber was the first president, a true civic leader. He was the spirit and symbolof child welfare in Aurora. It was through his efforts that the Aurora Cosmopolitan Club, became a sponsor of the Edna Smith Children's Home, (also known as the Juvenile Protective Association) that lasted through the late 50's. The club provided Christmas parties with gifts, Easter egg hunts, summer camps, day trips, egg and milk needs for all 40 children, plus three entries into the annual soap box derby. Frank Weisgerber passed away on April 11, 1952 and left $250,000.00 of his estate, to the Edna Smith Children's Home.